After working hard for the past 6 months, it's time to take a break and reward myself with a vacation. As I mentioned at the beginning of the year, 2013 will be my cuti-cuti China year. So here I am again, continuing my 'China Rush' adventure and traveling to China once again. This time my destination is Nanning & Guilin. 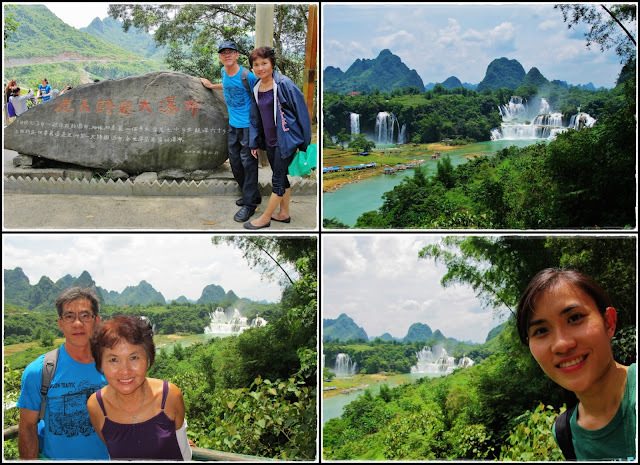 Ironically, when we did a radio interview in Shanghai last September, the DJ asked where we intend to travel next, and I just randomly answered Guilin & Yunnan. 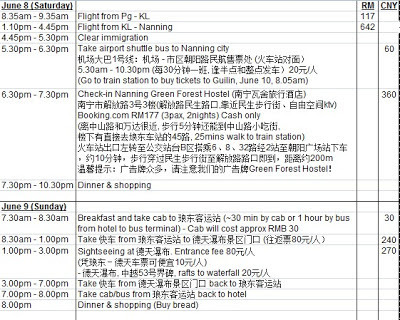 Shortly after we returned from Shanghai, Airasia launched the Nanning and Kunming routes and coincidentally, both destinations are places that I want to go so I just went ahead and grabbed the return air ticket to Nanning for RM 216/person...pretty cheap right? Sometimes you've gotta want something bad enough to make it happen. Law of attraction maybe? After traveling+transiting for about 8 hours, we finally arrived at Nanning Wuxu Airport at 4.45pm. Thanks to my 'kiasu' skill, we managed to clear the immigration within 15 minutes...haha!! Quickly dashed out of the airport hoping to catch the 5pm airport shuttle (机场大巴1号线) to the city but we missed it by a minute. The next bus leaves after 15 minutes so I had some time to take a selca in front of the airport. =P The airport shuttle bus is pretty convenient and costs CNY 20 per person. But if you're traveling in a group of 3 or 4, you may consider taking a cab coz it costs CNY 90 for a cab and it brings you directly to your hotel. Nanning is known as the 'Green City' of China and this was what I saw along the 45 minutes journey from the airport to the city. Erm...green city...really?? My first impression of Nanning city...lotsa motorcycles and e-bikes...kinda similar to Vietnam. We were dropped off in front of Vienna Hotel on Chaoyang Road, approximately 5 minutes walk from the railway station. 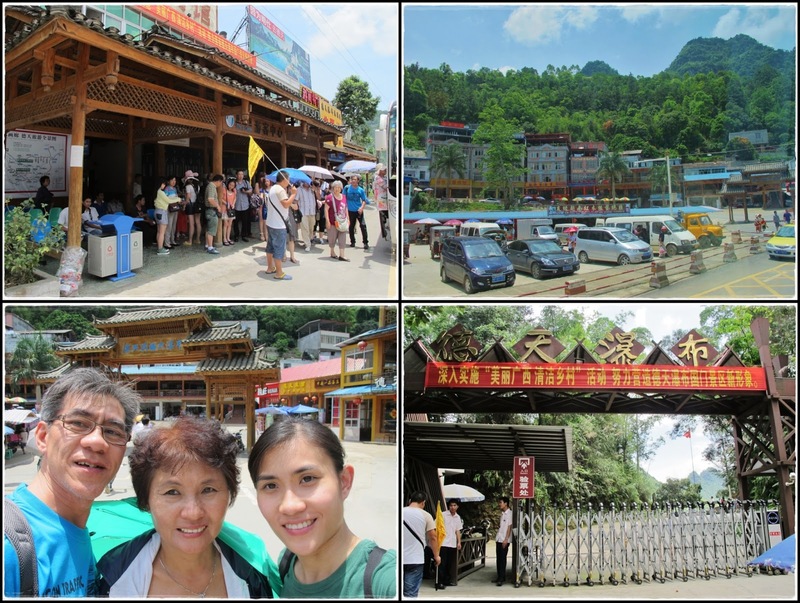 Our first mission was to go to the railway station to buy the tickets to Guilin. Of all the times to travel to China, we were so 'lucky' to be traveling during the Dragon Boat Festival holiday. That means lotsa Chinese are also traveling during that period and a lot of tickets are sold out. The train that I planned to take was sold out so we had to settle for an earlier train. I was a lil' overwhelmed by the amount of people queuing (or queue jumping) to buy tickets at the railway station. The unfriendly & impatient ticket seller at the counter doesn't make the situation better either. Oh well, I guess I've forgotten how things work here, welcome to China. According to the homework that I've done using google map, we could take a bus from the railway station to 朝阳广场站 and just walk straight for about 200m to reach our hostel. Sound very simple, look very simple, but google map didn't know that the whole city is in a mess due to the subway construction that just begun 2 months ago. So instead of just walking straight, we had to walk further to cross the main road that was closed off for construction. We asked several people along the way on how to get our hostel but we were eventually led to 'holland' until we met a kind girl who told us that it's too far and difficult to walk with all our luggage so she suggested that we take a rickshaw instead. She helped us negotiate for a rickshaw and told the driver to bring us to the right place. Haha...this backpacking 101 class is totally like a crash course, within 2 hours of arrival, we're already traveling like a local on a crowded public bus and open-air rickshaw...lol!! After much effort, we finally arrived Nanning Green Forest Hostel at 7.30pm looking as if we just came back from a good workout...haha!! The hostel is pretty clean and cosy but the downside is that we had to climb 2 floors up the stairs to get to the lobby. Mingsheng Pedestrian Street (民生步行街) was very near to our hostel but I'm not a fan of shopping so there's nothing much for me to see here. We decided to call it a day and returned to our hostel when it started raining. Luckily it didn't rain earlier when we were walking with all our luggage, or else we would be so drenched and pathetic...lol!! 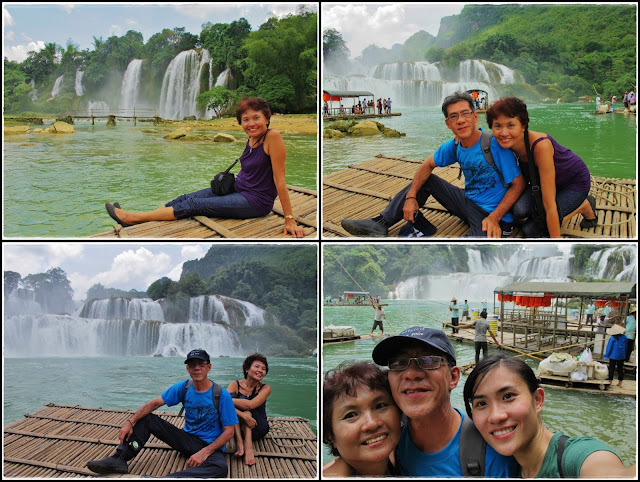 Initially, my plan was to make our own way to Detian Waterfall by taking a direct bus that departs from Nanning to Detian Waterfall at 8.30am daily. However, after experiencing the crowd at the railway station the day before, I was worried that by the time we get to the bus terminal the next morning, the bus tickets might be sold out already. So we called up a travel agency and made a last minute change in plan to follow a tour instead. As I mentioned before, I dislike following tour groups especially in China (I'll explain the reasons later) but due to the unforeseen circumstances at that point of time, following a tour was a safer option. Backpacking 101 tip #2: It's good to plan ahead but always have a back-up plan coz things don't always go as planned when you're backpacking. Be flexible and be prepared to change your plans to the next best option. But honestly, it annoys me when things don't go as I planned coz I've spent a lot of time doing my research and working out my plans...grrr! The travel agent picked us up from our hostel at 6.50am to the bus pick-up point near the railway station. 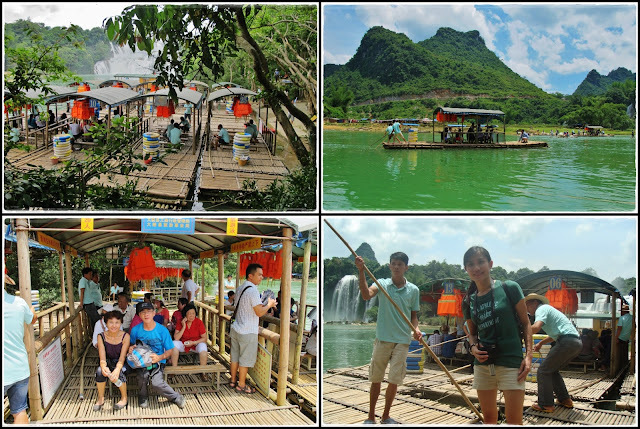 This 1-day tour costs CNY 180/pax and the price is actually quite reasonable and comparable to what I've budgeted for in my original plan. We were the only foreigners in the entire tour group. Knowing how tour groups work in China, I wasn't expecting much from it. 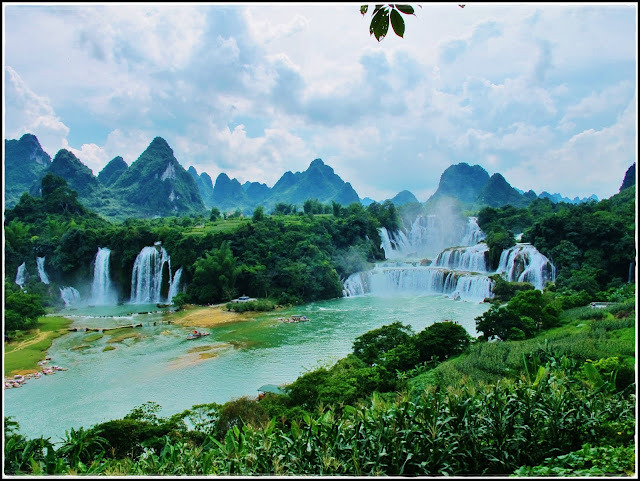 As long as it gets me to Detian waterfall, spare me enough time at the waterfall, and bring me back to Nanning safely, I'll just bear with all the other 'crap'. Backpacking 101 tip #3: The trick to having an enjoyable trip is to keep an open mind and know what to expect, as long as you set your expectations right, you'll minimize your disappointment. Scenery along the way...finally I see 'green' in this green city...lol!! Along the way, mom did something hilarious that made us LOL!! The roads were quite windy and the driver was driving pretty fast. As usual, mom was sleeping in the bus and her arm rest wasn't lifted up so when the driver made a sharp turn, mom fell off her seat into the middle part of the bus half asleep. At first I thought someone's bag fell off the compartment and when I saw that it was her, I quickly helped to pull her up and 3 of us had a good laugh about this epic fail. So here's one of the reasons why I dislike following tours in China...mandatory shopping stops. After traveling for about 3 hours, our bus stopped at this bamboo products shop and all of us had to go into a room to listen to the sales girl promoting how great their products are. You can even find all these products in night markets but they'll convince you that theirs are different and more special. Of course I didn't even bother to listen and was playing candy crush on my iPad instead. We wasted 45 minutes here before continuing our journey to Detian. On our way back, we also stopped at another jade shop and wasted another 45 minutes. Another reason why I dislike following tours, lunch is included but most of the time it's not good. Besides, you'll have to share your food with strangers and if you're slow, the good dishes would be wiped out in no time. Funny thing is we were the first to arrive but the last to leave the table. 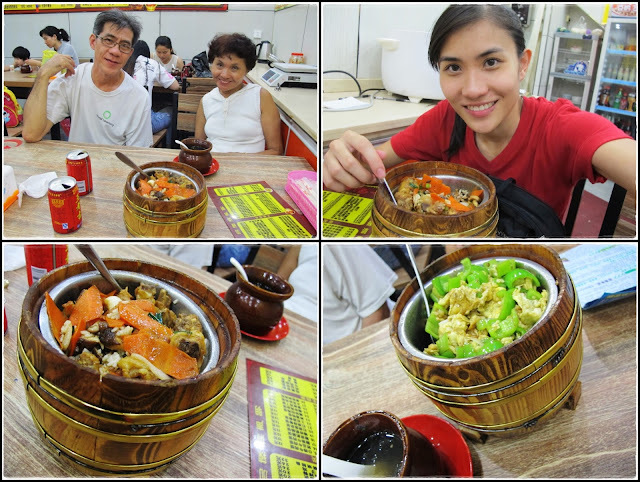 Dad was probably too hungry so he was still enjoying the food after everyone on our table left...lol!! Nice scenery as we got closer to the waterfall. Finally after traveling for 6 hours, we've finally arrived Detian Waterfall at 1.30pm. We were given 2 hours to explore this place. I'm glad that it wasn't raining but it was hot!! 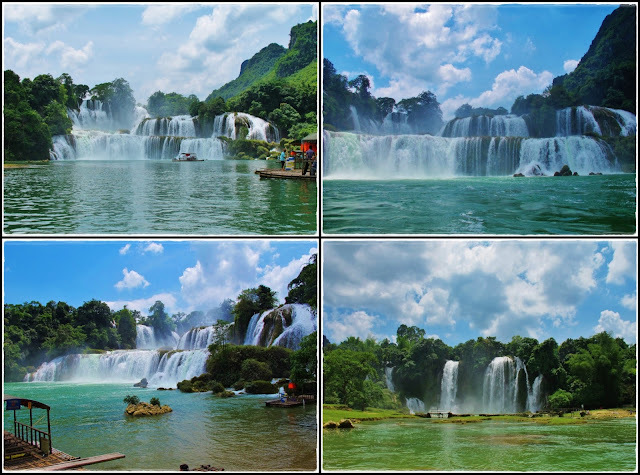 Detian Waterfall from viewpoint 1. 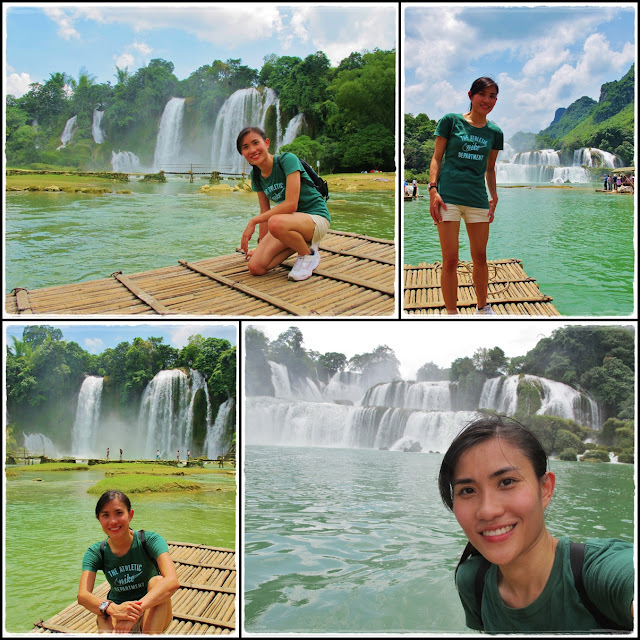 This waterfall is the 4th largest waterfall along a international border, Vietnam is just right across where we were standing. 3 of us were occupying the front part of the raft for the whole time. The aunties and uncles on the same raft probably had us as part of the background in all their pics...lol!! 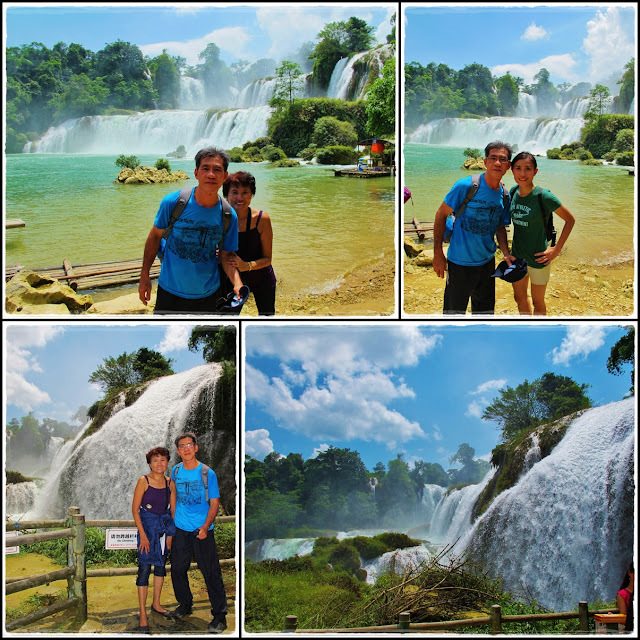 Mom's favorite part of Detian waterfall was this 'shopping street'. 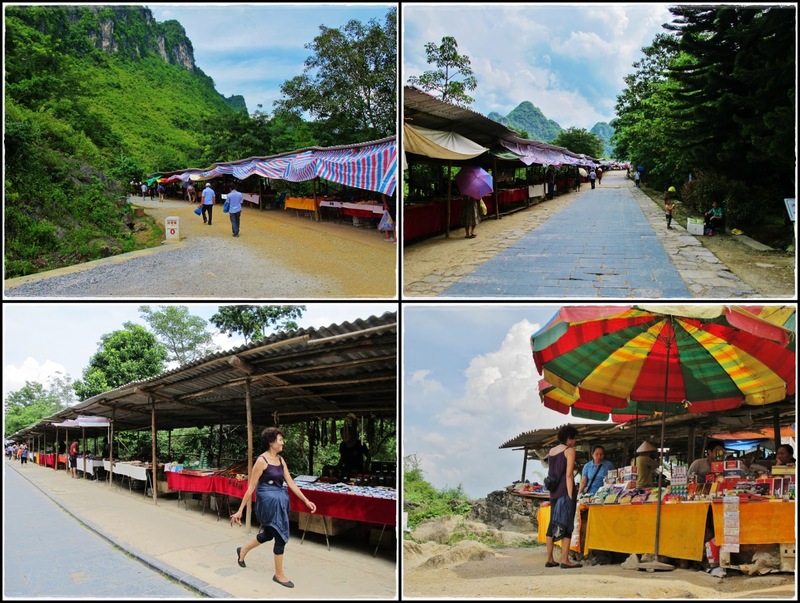 Lotsa vendors selling Vietnamese stuffs around the Sino-Vietnam border. This is their so-called free trade zone...hahaha!! Few more pics before leaving. Breathtaking view of the waterfall. 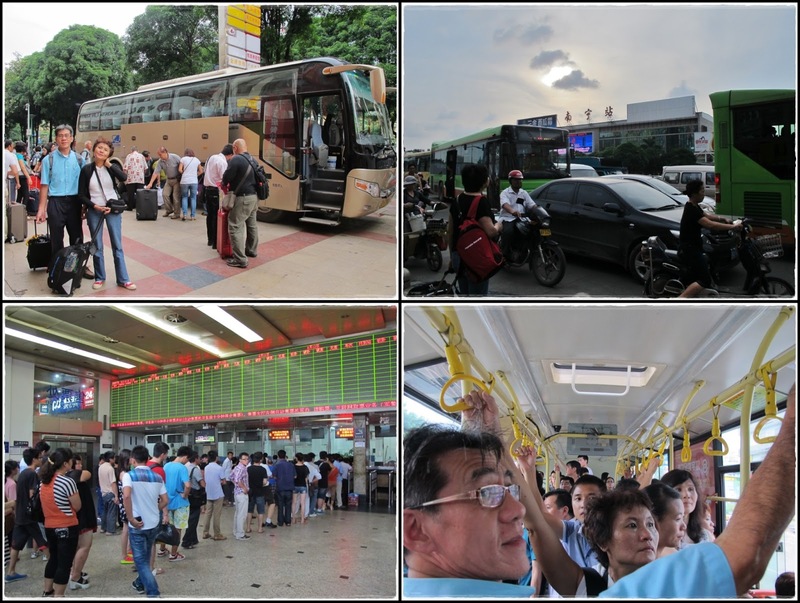 The journey back to Nanning took about 5.5 hours. We were lucky that It only started raining in the evening. By the time we got back to Nanning, it was pouring and we still took a rickshaw back to our hostel. Tiring day but mission accomplished in Nanning!! First 2 days of my Excel 'masterpiece'. 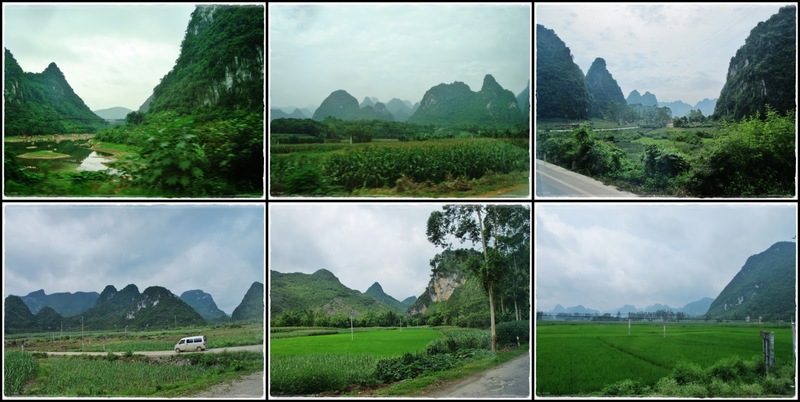 =P Next post...Guilin & Yangshuo.